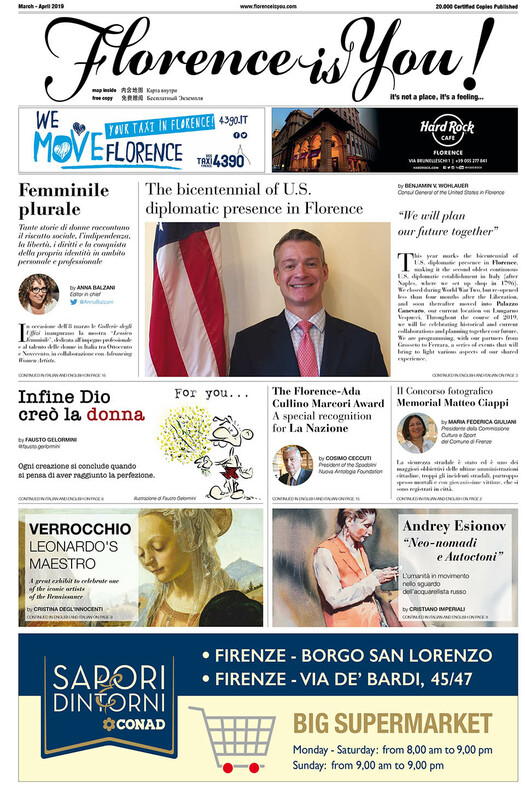 NEW (FASHION) ICONS - Florence is You! Scuro e a girocollo: con quel maglione abbiamo visto Sergio Marchionne in visita da Putin al Cremlino, Steve Jobs sul palcoscenico davanti a folle oceaniche di cibernauti ma anche Bill Gates o Mark Zuckerberg fedele al suo girocollo grigio portato a spasso nel web. più classico dei pullover, quello blu, girocollo, che tanto ha fatto discutere ogni volta che è stato indossato in sostituzione di ben più canonici accostamenti: giacca-camicia bianca-cravatta. Il risultato è una carrellata di proposte insolite, divertenti, fashion, liberamente ispirate a coloro che hanno fatto dell’essenziale la loro cifra di stile. Invenzioni buone per pullover “smoking”, “da caccia” o “multitasking” per celebrare un capo passe-partout, a ben vedere ideale per tutte le necessità dei business globetrotter. Dark and with a round neck sweater: with that sweater we saw Sergio Marchionne during a visit to the Kremlin with Putin, Steve Jobs on stage in front of huge crowds of cybernauts, but also Bill Gates or Mark Zuckerberg faithful to his gray round neck T-shirt as seen often on the web. 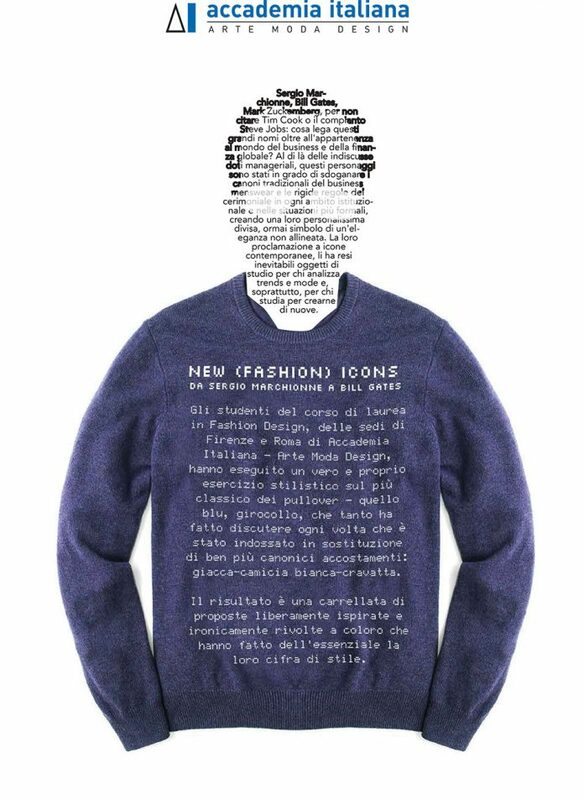 The “irreverent” exhibition is inspired by the New Economy talents that have torn apart from the ceremonial rules imposed by exhibiting “round neck” sweaters, and it’s created by the students of Fashion Design in Rome and Florence of the Accademia Italiana who sign a pullover collection dedicated to the new ‘68 generation. A eulogy sweater (dark) built with the help of applications, prints, embroidery and dyeing. The task given to the students was to perform a real stylistic exercise on the most classic pullover, the blue one, round neck, which created a buzz each time it was worn in place of much more canonical combinations: shirt-jacket white-necktie. The result is a gallery of unusual proposals, fun, fashion, freely inspired by those who have made the essential their style figure. Good inventions for “smoking” pullovers, “hunter” or “multitasking” to celebrate a chief master key, in hindsight ideal for all the needs of business globetrotter. Previous articleTi piace la pizza?